The Basset Hound is a medium-sized domesticated dog with short, muscular legs and a pair of long drooping ears. Basset Hounds are very long in the body. 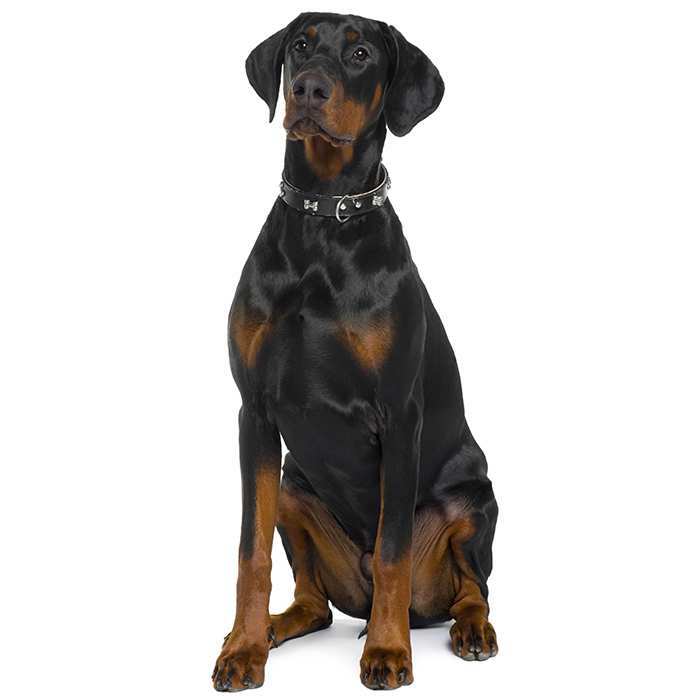 In fact, they are longer than they are tall and their legs have the thickest bones of any dog of this size. The Basset Hound is related to the Bloodhound. 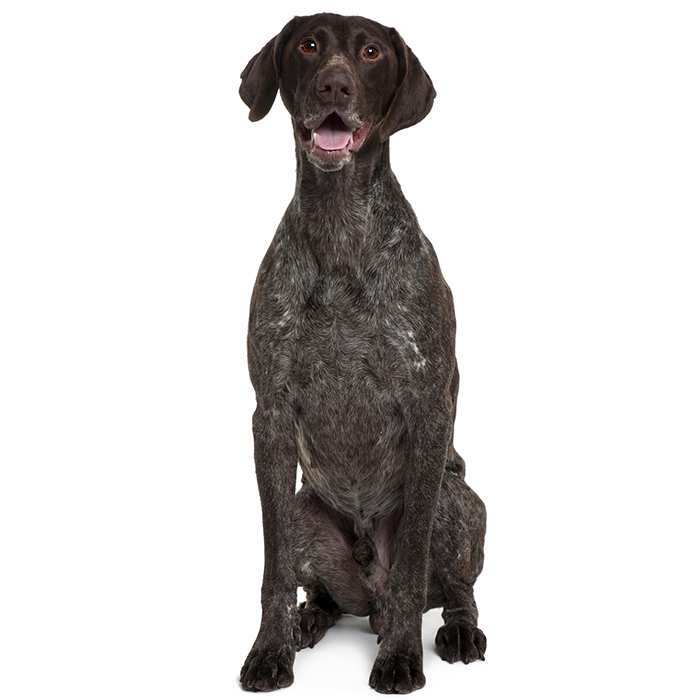 They are equipped with a short and smooth coat, with rolling loose skin and big floppy ears. Basset Hounds have been around for many years with mentions of the breed stretching back to the 16th Century. First developed in France for as a curiosity, the breed was very popular with the aristocracy. Although short, the Basset Hound would allow its owner to follow close behind on foot, removing the need for poorer hunters to own a horse. The Basset Hound is a very independent breed, showing more interest in pleasing itself rather than striving for the affections of its owner. Training can be a chore with the breed and it’s common that instructions will be acknowledged at the dog’s own pace or simply ignored. They have a great reputation for getting on well with other animals around the house, however, even cats. 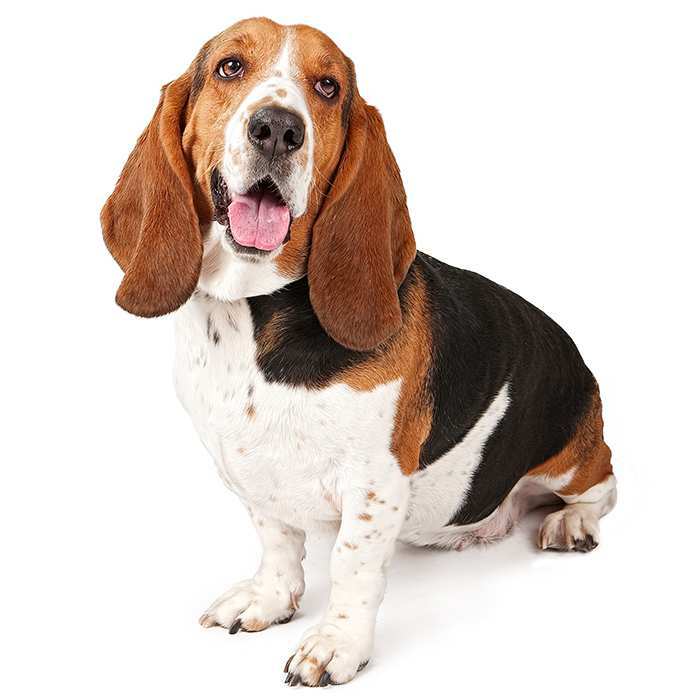 Like a number of shorter breeds, bred especially for their stout stature, the Basset Hound can experience problems with its joints and back in later life. They are also prone to gaining a lot of weight, especially if spoilt. Regular exercise is a must for this dog. Because the Basset Hound was developed to hunt small game like rabbits they can often be a handful while taking them on walks. 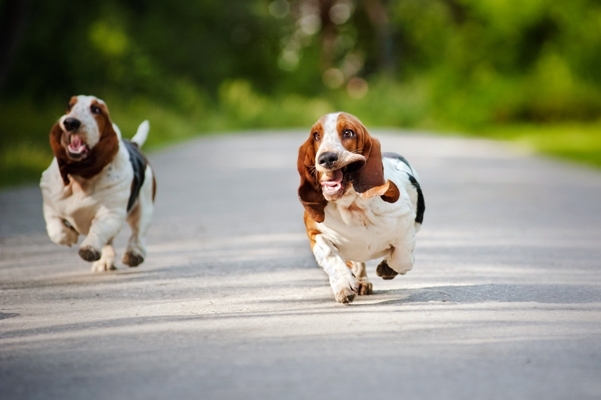 If let off the lead, Basset Hounds will tend to chase other small dogs or wild animals, sometimes even cars. 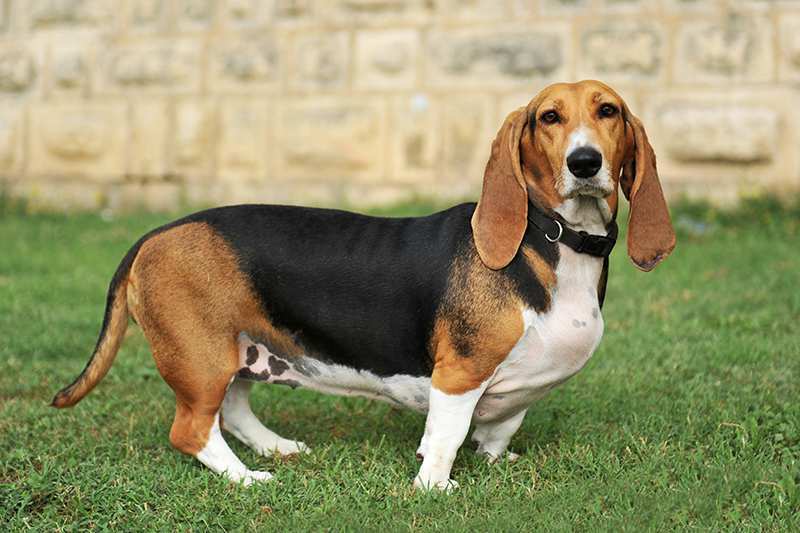 The average Basset Hound will measure between 30 to 38cm and a healthy example should weigh between 18 to 27kgs. Basset Hounds will live to the age of between 11 and 12 years. Basset Hounds have a wonderful reputation for a placid, calm and largely good-natured disposition. Of a hunting background, the Basset Hound is very loyal dog, often well-behaved and peaceful when cohabitating with other pets. They are known for their fierce independence, however, and their stubbornness can often lead to difficulties around training and everyday discipline. While Basset hounds will often just suit themselves rather than obey commands, they’re not trying to displease their owner. The breed is very sensitive to its owner’s mood and if good training, routine and discipline standards are in place, Basset Hounds will excel. A close relative of the Bloodhound, the Basset Hound can become easily distracted by interesting scents and ignore everything else. It’s important for the owner to be patient as the breed are naturally inquisitive and following smells is a great way for Basset Hounds to get the mental stimulation they need. Basset Hounds are very affectionate with children. They are very calm and peaceful dogs and show a great deal of patience and tolerance when being played with. Small children should be supervised, however, as the Basset Hound will not stand for any abuse. 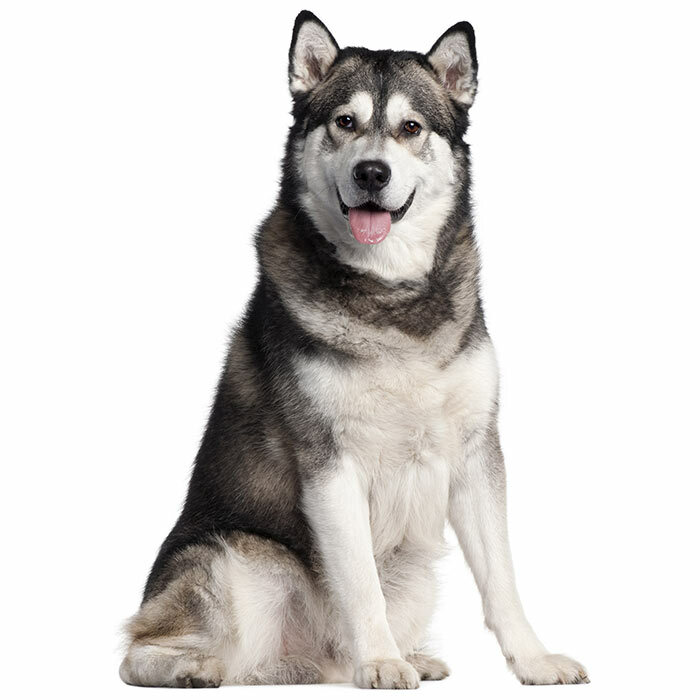 Although training an independent dog, if approached correctly the task is very achievable. It’s a common belief that the Basset Hound isn’t as intelligent as other breeds, but this simply isn’t the case. Good clear instructions, consistent discipline and a training regime in an area free of distraction is the best thing you can do for your Basset Hound. Be careful when taking this breed for walks in public. Because of their hunting background, when let off the lead Basset Hounds will tend to wander; following their nose, tracking and even chasing small animals. Intervertebral Disc Disease. Basset Hounds are especially prone to back problems. This is a condition that occurs when the disc between the vertebras becomes damaged, causing swelling and leaking. Common symptoms include: inactivity or lethargic behaviour, shivering, limping, or the inability to bend down to eat. If you notice these behaviours, get in touch with your vet. Pannus is the abnormal growth of tissue over the cornea and can affect the Basset Hound. Cherry eye is a common term for prolapse of the third eyelid gland. The result is a third inverted eyelid. This condition can usually be corrected with a simple surgery. Obesity is very common in the Basset Hound and can cause a number of carry-over conditions because of the extra weight on its small legs. It is easy to over feed a Basset Hound as they will eat whatever you give them, whenever you give it to them. They never appear to be full. Remember that the extra weight can cause serious joint conditions in the back and legs. 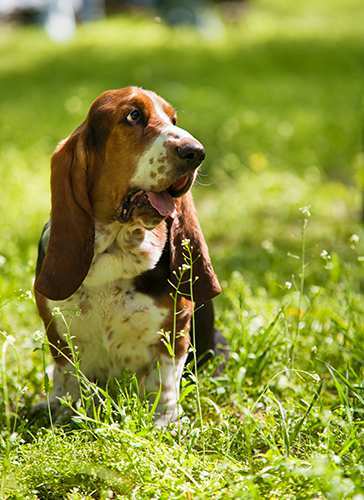 It’s believed that the Basset Hound is a direct descendent of the St. Hubert Hound, the ancestor of the Bloodhound. Basset Hounds, basset meaning ‘low’, come from France. Their short and stocky physique was developed primarily for the aristocracy as a companion dog and later for hunting. They were a popular hunting breed for those who could not afford to hunt on horseback as the Basset Hound could be followed on foot. It wasn’t until the mid-1800s that the Basset Hound came to England with Lord Galway however he didn’t show the dog and the breed remained quite unknown in Britain. In 1874 Sir Everett Millais introduced his Basset Hound to England and began to promote the breed to his countrymen. He is considered to be the real ‘father of the Basset Hound’ among British breeders and fanciers. The American Kennel Club registered its first Basset Hounds in 1885 and it is widely believed that the breed had probably been introduced to the colonies long before this time. In 1928 Time Magazine featured a Basset Hound on its cover and the breed began to see a lot more interest from breeders and the general public alike. The 1960s saw Hush Puppy Shoes incorporate the Basset Hound into its brand and the breed became even more recognisable in a short period of time. Considering its rather underwhelming beginnings abroad, the Basset Hound is today a very popular breed, especially in the United States. It is currently ranked as the 28th most popular breed of dog of the 155 breeds registered with the American Kennel Club. Basset Hounds began as curious little dogs that were very popular with the aristocracy of France. After the French Revolution, the Basset Hound went from lap dog to hunting dog due to the requirements of the everyday peasants. The breed has the reputation for laziness at times. Basset Hounds require just as much exercise as any other dog to remain healthy. Sometimes you’ll have to drag them off the coach to go for a walk. What’s that smell? It’s common for Basset Hounds to have flatulence issues. Often it can be corrected or the frequency reduced.  See your vet for more information. Basset Hounds are prone to some serious problems with their joints. Their long dense body and short stocky legs mean that painful conditions can occur in these areas. The best way to avoid these health issues is to avoid over feeding your dog. Basset Hounds are notorious for putting on weight. Marilyn Munroe once owned a Basset Hound with Arthur Miller. Both Elvis Presley and Clint Eastwood had Basset Hounds, together with fictional TV detective, Columbo.